29/06/2015�� Using a cast iron or other thick, heavy saute pan, heat over medium-high to high heat, add a thin film of oil (vegetable or canola oil work well), and heat until it just starts to smoke. Add the dry fish to the pan, being careful of splattering, and cook for 30-45 seconds per side, just until the fish browns.... Cast iron can be a fantastic surface on which to cook a piece of fish. Durable swimmers like swordfish, tuna, mahi mahi and wahoo achieve a beautiful crust when cooked on hot cast iron. Even slightly thinner fish, such as catfish and trout, often hold up well. Heat oil in a large non-stick or cast iron skillet over medium heat until shimmering. Add fish pieces, breaded-side-down and cook, swirling and rotating them around the pan until deep golden brown, about 5 minutes. Place the seasoned fish pieces in the pan and let cook/sear for 2 to 2 1/2 minutes. 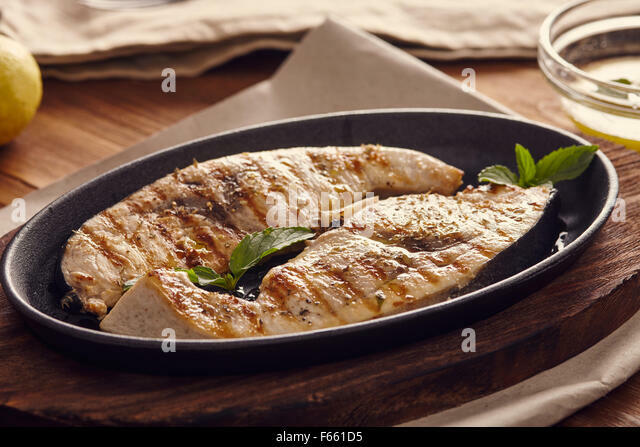 Carefully turn the pieces of fish over with a slotted spatula. Reduce the heat to medium and add the butter and thyme sprigs to the pan. Heat a heavy (preferably cast-iron) skillet over medium heat and add 1? tablespoons of butter. When the butter melts and begins to sizzle, season the potatoes with salt and pepper and add to the skillet cut-side down.